are not easy to make but I persevere! I already had and love. Sunshine streaming in is so cheerful. 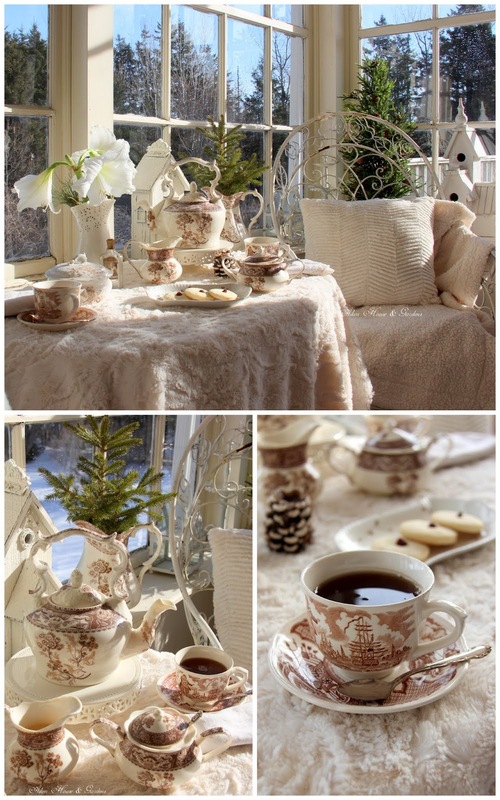 and cozy tea times at your house too! Oh my word, what a serene and beautiful place your porch is ! 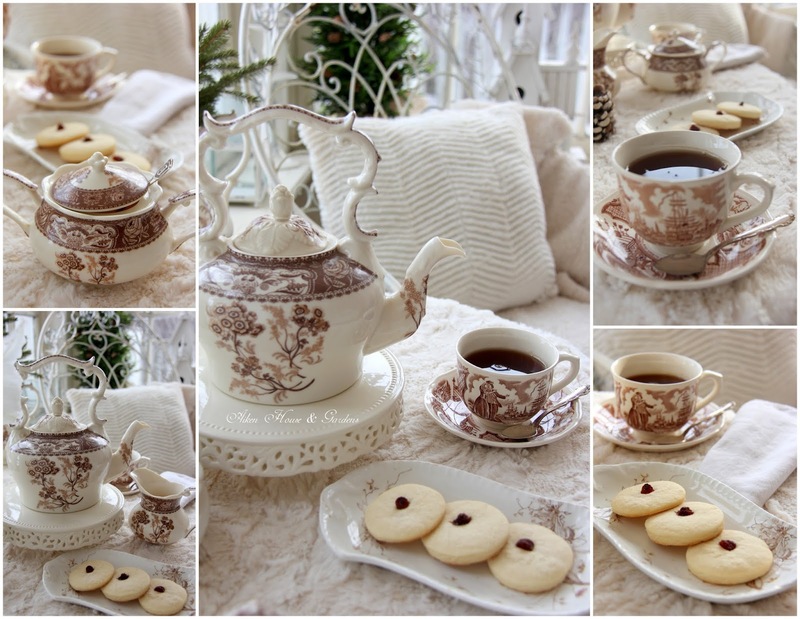 Perfect to hang out in the dead of Winter and look out the glass how it snows, while sipping tea in the gorgeous brown and white transferware tea pot and you were so lucky to find the sugar and creamer to match; now it's a complete teaset to die over ! Bright and white. I love it. What a wonderful way to chase the winter blues away! I love pretty tea sets and to find the cream and sugar is devine! Carolyn, I love your brown transfer ware! So pretty and cheery with the sun coming in. Here in Northern Ohio, it's been gray every day this week, and I long to see some sunshine. Oh my, your teatime has me sighing all over the place! You've created a magical place for tea with your beautiful things, Carolyn. And God provided the lovely sunshine - how wonderful! Hi Carolyn - can you tell me what brand this teapot is? I came upon one just like it recently. Thanks!